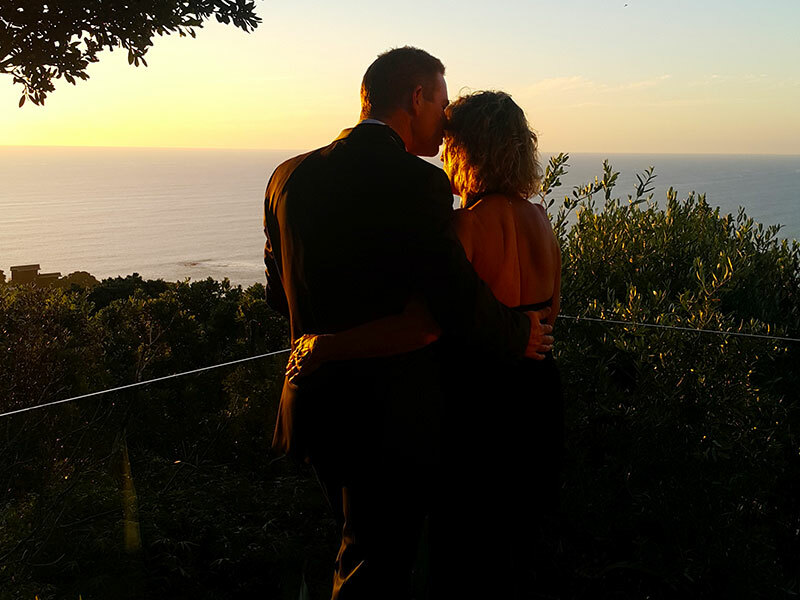 In recent times Auckland has become one of the more popular romantic getaways for marriage proposal ideas in New Zealand with its wonderful scenery. 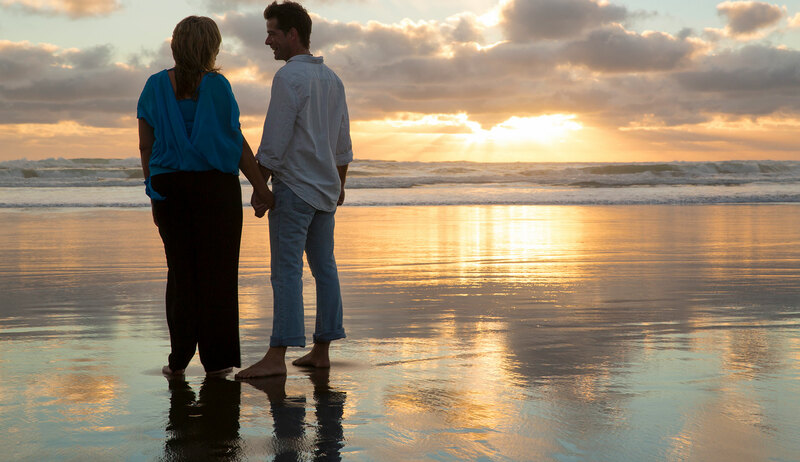 Queenstown and Christchurch were always favoured romantic places to propose, but the stunning black sand beaches on the West Coast of Auckland are fast becoming some of the most romantic places to pop the question for visitors to New Zealand. Love My New Zealand knows how to deliver those special moments in romantic getaways just for you. It isn’t hard to create romantic proposals on a balmy evening in soft sea breezes against a backdrop of magical sunsets. We will discuss proposal ideas with you and suggest some romantic places for your perfect marriage proposal. We can whisk you away from your city hotel in one of our luxury vehicles to one of our romantic getaways. Relax in a stunning 5 star, private suite overlooking Muriwai Beach and the Tasman Sea. Sip on a glass of bubbles and unwind in one of New Zealand’s top luxury escapes. 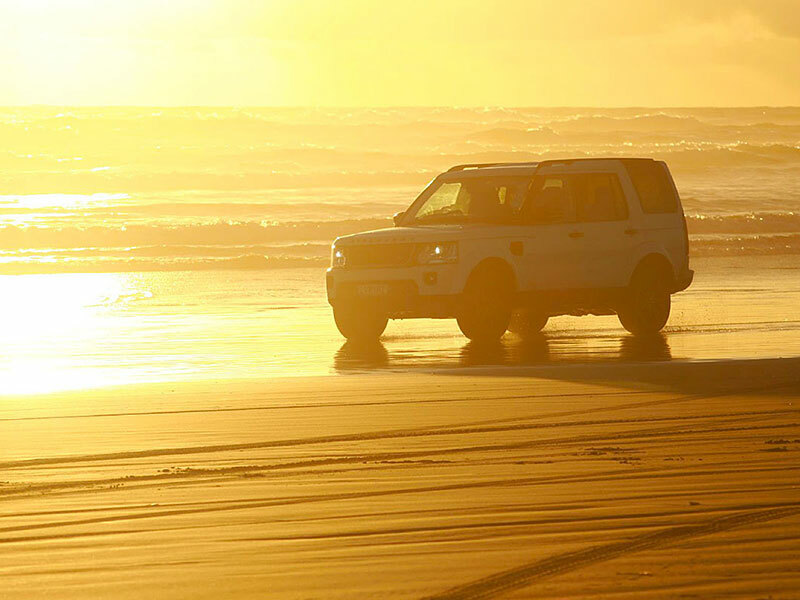 Experience the black sand beach of Muriwai as we drive you right up along the shore edge for an up close and personal view of the mighty ocean ready for your romantic proposal. Let us help you fulfil your proposal ideas and create a lasting memory. You have already discussed proposal ideas with us and decided the perfect moment to make your proposal. 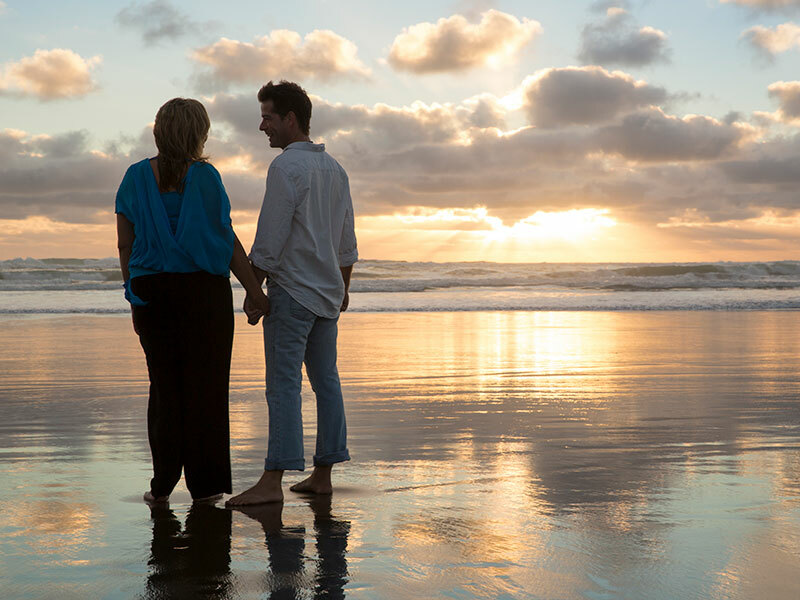 Whether that is with an engagement ring on bended knee in the heart of the Auckland Waitakeres or whether you want the surf crashing on the shore as you pop the question, Love My New Zealand can ensure it is the perfect setting for a romantic proposal and lasting memory at the start of your journey together. Karl Williams asked us to help him deliver the perfect moment to his sweetheart on Muriwai Beach on the West Coast of Auckland. He has kindly allowed us to publish his words here. We stand here today for a very special moment. The position where we stand on the planet is defined by the coordinates of latitude and longitude as 38 degrees 81 minutes south in latitude and 174 degrees 41 minutes east in longitude. This small dot on the planet earth means a lot to me and I have chosen it to mark this significant occasion. As we face the mighty Tasman Ocean, Muriwai beach to our right runs unbroken for 50 kilometers and to our left the rugged coast line continues to the mouth of the Manukau. To reach our future we must sail not lie at anchor, we must sail not drift. Whenever I need insight and vision I come here. Muriwai rose from the sea, the distinctive blacks sands the result of the Kaipara volcano that erupted 16 million years ago and from that formed the coast line where we stand today, sculptured by the Tasman Ocean. Behind us the Waitakeres. Maori mythology tells us this was called the great forest of Tiriwa, the people who grew from the earth, they had special power and were fair skinned. Not far away is the Muriwai Gannet colony. The Maoris called this great sea bird the Takapu. The birds mate and lay only one egg. They mate for life. Their young learn to fly and then make one great journey to South Australia and return to Muriwai two years later to find their mate and settle down to continue the line of this great sea bird. You can see them often here gliding out over the beach on the wind currents from the Tasman Ocean. They tell me as they fly on the wing, you can never cross the ocean until you have courage to lose sight of the shore. I find Muriwai always tells me things. That’s why I come here and that’s why we are here today. At 38 degrees 81 minutes south and 174 degrees 41 minutes east. The whole Muriwai evening was a sensory overload... from driving right beside the waves as they tumbled in up the beach ... right next to the waves ... What a sunset from the deck of our suite – just superb. This is definately an experience to tick off your bucket list of things to do in Auckland.